W.H. Koch Co., Inc. is the parent company and family operation of three grocery stores and four pharmacies. The grocery stores are located in Sweet Springs, Chillicothe, and Cameron, Missouri and the pharmacies consist of a stand-alone facility in Marceline, Mo. as well as locations inside the Sweet Springs and Cameron grocery stores. The fourth pharmacy is next to the store in Chillicothe and co-owned with Scott Cady. What became the W.H. 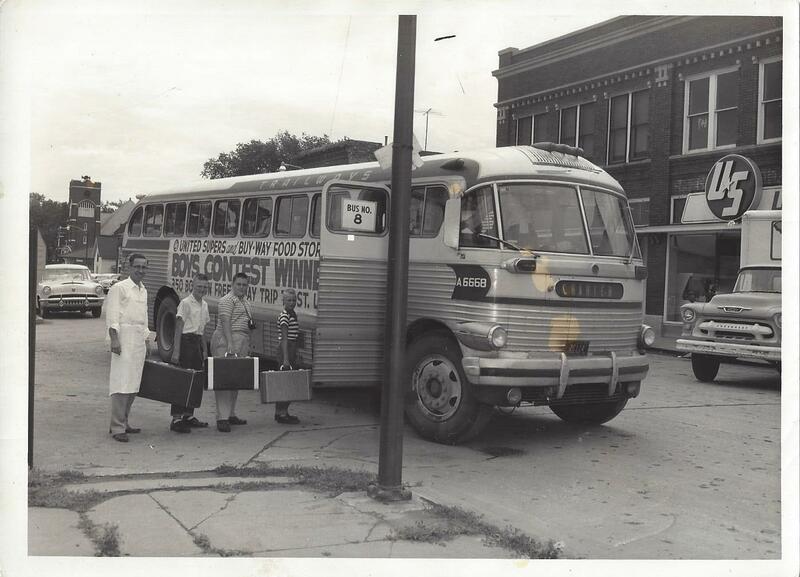 Koch Co., Inc. had it's beginnings in October of 1956 when Ralph and Evelyn Koch bought the Food Fair in Sweet Springs from Paul and Margie Hoffman. 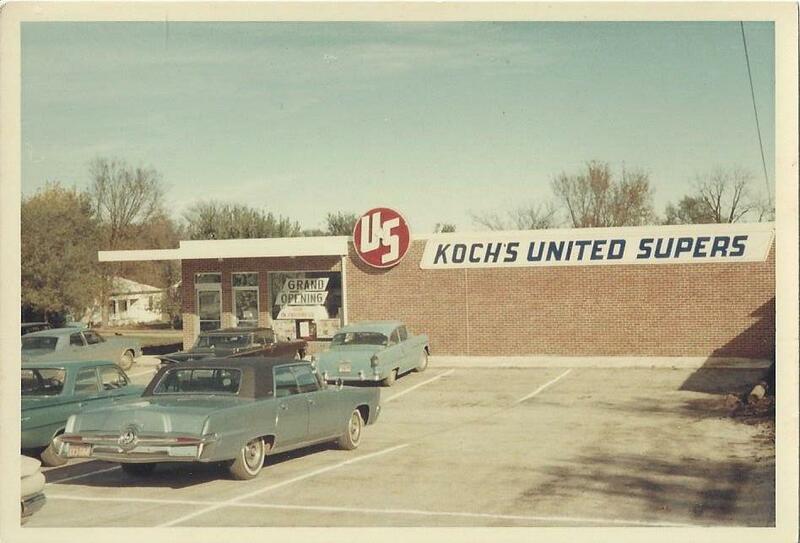 Nine years later, in October of 1965, the Koch's reached a life long dream, when they constructed a new United Superstore in Sweet Springs which remains the current location today. Second Generation In the early 1970s, their son Bill and his wife Phyllis became involved in the ownership of the business. Bill has worked in the store since January of 1959, where he started out bagging potatoes at the age of 11. In 1965, Bill became a meat cutter, a passion he still has today. In 1980, Bill and his wife Phyllis purchased the remainder of the ownership from Ralph and Evelyn. In 1982, Bill started an expansion of the present location in Sweet Springs, which resulted in doubling the size of the store. In October of 1987, the Koch's bought another United Super store in Chillicothe, Mo. In October of 1992, the company then bought The South Town Shopping Center, where the store was located and began the expansion of that location. Also in 1992, the Sweet Springs location joined Piggly Wiggly Co. as a franchisee. In 1994, the Chillicothe store, due to the great success as a Piggly Wiggly in Sweet Springs, also converted to a Piggly Wiggly. Bill served 5 years on the National Board of Directors of the Piggly Wiggly Operators Association, beginning in 1995 and culminating in 2000 when he served as its President. Both stores have been kept up-to-date with remodels, adding a pharmacy to the Sweet Springs location in 2004, a deli/restaurant in 2007, and a Durable Medical Equipment business addition to the Pharmacy in 2008. In 2004, the Chillicothe store was remodeled, adding a liquor department and a floral department and then again in 2008 when a deli/restaurant was added and the floral department was expanded. Both stores are continually looking for ways they can update and better serve their community. Third Generation Bill and Phyllis' daughter, Veronica, and her husband, Tony Clark, started working full time for the company after moving to Chillicothe in 1994. Veronica grew up in the store, working at the Sweet Springs location through high school. After receiving her BS in Accounting from Missouri State University and moving to Chillicothe, she now serves as Chief Financial Officer for the corporation. Tony started working for the Sweet Springs store when he was 16 years old. In 1994, Veronica and Tony were married and they moved to Chillicothe, where he began learning all facets of grocery operation. Tony now serves as Operations Manager over all locations. In 2009, Veronica and Tony invested in the corporation becoming shareholders. Their son Brett graduated from Chillicothe High School in 2016 and is attending Missouri State University studying Marketing/Advertising. Brett hopes to carry on the family tradition and run the grocery/pharmacy operations as a fourth generation. 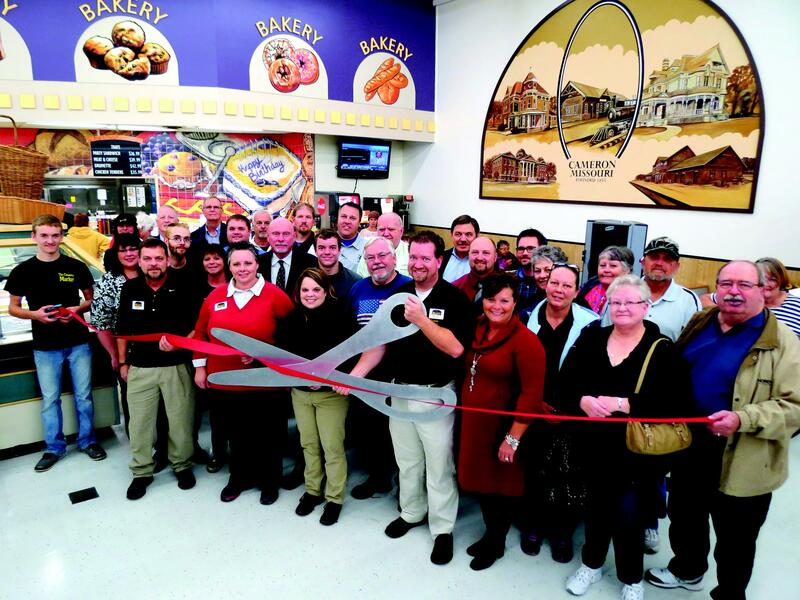 In October of 2013, the company expanded to Cameron, Missouri with the purchase of the Country Mart grocery store. An immediate remodel was performed which included new energy efficient cases and lighting. A floral department was added as well a new salad bar and an expanded seating area for the deli/restaurant. With the completion of the remodel, the store was renamed The Cameron Market and provides the community with a hometown store, complete with a black and gold theme to tie in with the Cameron Dragons school colors. The company is proud in maintaining long term employees as evidenced in Sweet Springs. The store is managed by Darla Reid, a 20+ year veteran who started her career with the company while in high school at the age of 16. Also, starting at 16, with the company is Carl Winston, perishable manager, and market manager at Sweet Springs. Carl's career spans over 20+ years as well. Ted Bock, who has recently retired, had been a part of the company for over 40 years. Ted maintains his longtime association with the company as he now works part-time. At the Chillicothe store, the meat department, viewed by many as the best in the area, is headed by Angie Taylor. Angie also began her career with W.H. Koch Co, Inc. at the age of 16 and has 20 years with the company. Cheri Livingston is the general manager of the Deli/Bakery/Catering operations in Chillicothe and Cameron. The pharmacist in charge at the Sweet Springs Pharmacy is Lisa Nichols, who served 14 years at a chain pharmacy before joining our staff in 2004. Tyler Woods is the pharmacist in charge in Marceline and Jill Saunders is the pharmacist in charge in Cameron. The main goal, as with all the staff, is patient care. The company has truly been blessed with quality people, many of them coming from the towns that they serve, perhaps that is why they are so dedicated to customer service. Today, the company is a member of Associated Wholesale Grocers of Kansas City, a grocery co-op enjoying positive growth even in difficult times. It is with the effective leadership of AWG bringing low cost goods and the unique blend of company trained and mega-corporate trained personnel that has led to the steady growth and survival of the W.H. Koch Co., Inc. There have been four generations of the Koch family that have worked in the business and it is planned for many more years worth of service to their communities.